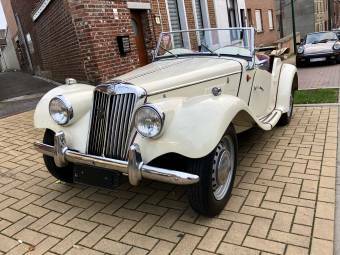 The MG T-Type is a range of convertible sports cars that were produced by MG between 1936 & 1955. There are five variants – TA, TB, TC, TD and TF. The TA was first produced in 1936 to replace the PB model. 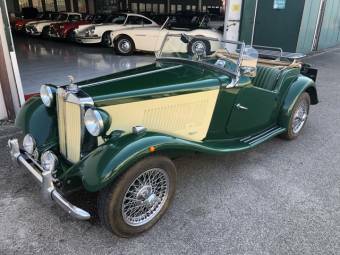 It was powered by the MPJG Over-head valve unit that was sourced from the Wolsley 10, albeit with twin SU carburettors, modified camshaft and improved manifolds. 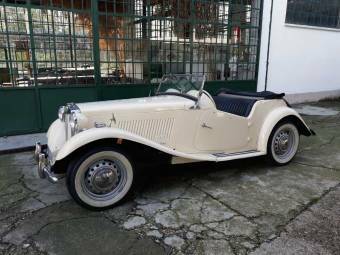 It’s 1292 cc engine produced 50 hp and the gearbox had synchromesh in the top two ratios, running through an oil filled clutch. 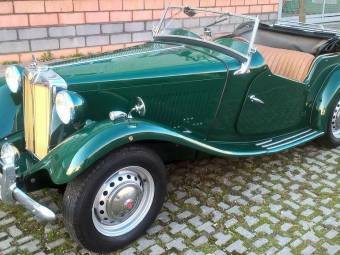 The TA was designed with a two seater steel body, built on an ash frame with storage space to the rear. 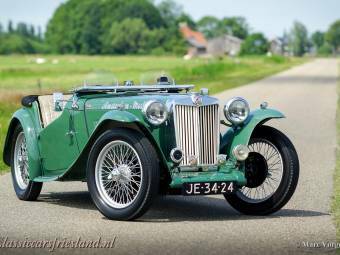 Initially it was simply termed the MG T-Type, with the ‘TA’ denotation being added after the ‘TB’ was introduced. 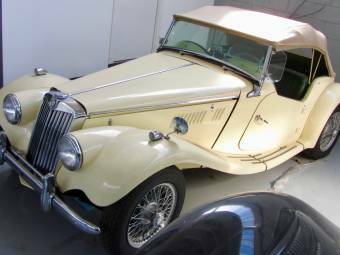 Sporting prowess came in the form of Allan Tomlinson winning the Australian Grand Prix in an MG T-Type TA model. 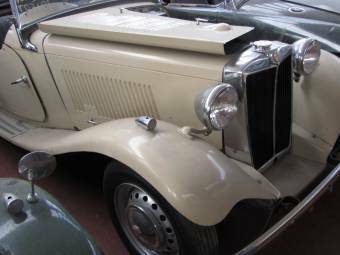 The TB replaced the MG T-Type TA in 1939 and sported a new XPAG engine from the Morris Ten (M). 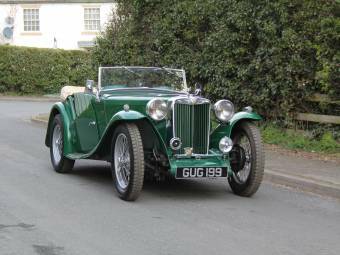 It was highly tuned, producing 54 hp with a dry plate clutch replacing the oil immersed version in the previous model. Tickford also produced a drop head luxury coupe version of the TB. With only 379 produced, it is considered to be the rarest of the TB series. 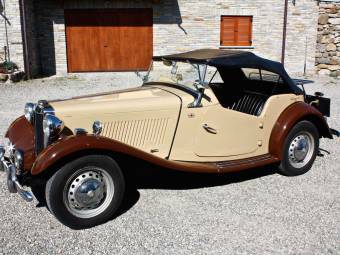 1945 saw the release of the MG T-Type TC and was similar to the previous model, sharing the same power unit. 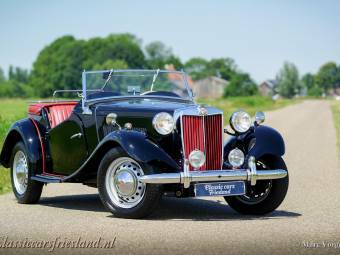 Although only produced in right hand drive, it was exported to the US with sealed headlights, twin rear lights and chrome plated bumpers. 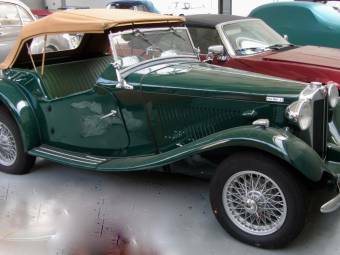 In 1950, MG produced the TD variant which benefitted from a hypoid-geared rear axle and independent suspension hung on a MG Y-Type chassis. 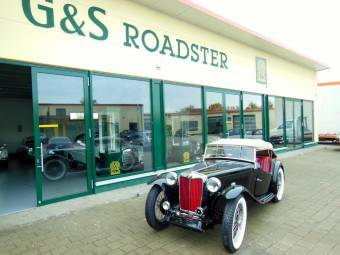 The car was 5” wider and offered a good level of all-round weather protection. 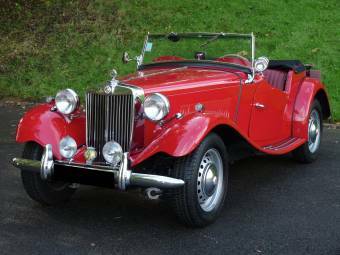 MG also offered a Mk II version for export only, that offered a higher tuned engine. Of the 30,000 units produced 23,488 were exported to the US. The TF, launched in 1953, was the final model in the range and received a complete facelift with faired headlights and a sloping radiator grill. 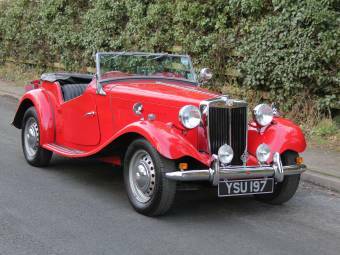 It was fitted with the TD Mk II engine with increased compression and larger carburettors. Mid 1954 saw the engine increased in capacity to 1466 cc and renamed the ‘XPEG’. All vehicles fitted with the power unit were designated the TF 1500. 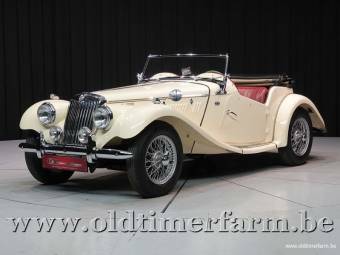 There were 9,602 TF models built, and it was superseded by the MGA.